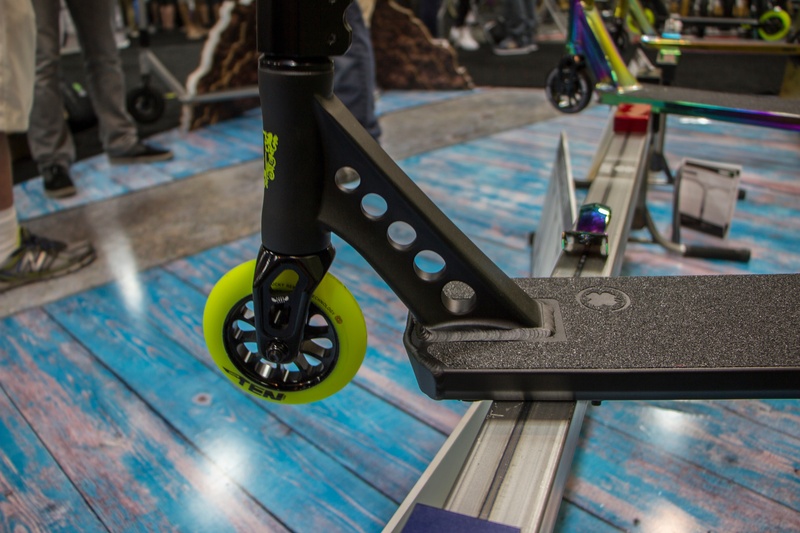 With the Lucky Scooters 2017 collection official release date just around the corner, I think that it is safe to say that we are all beginning to get rather excited to see what kind of impact that all of our 2017 modifications will have on the freestyle scooter industry at large. 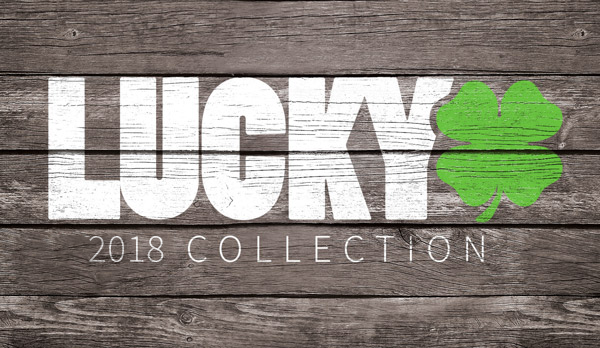 Although we firmly believe that our 2016 release of the Lucky Scooters Deep Roots collection was a major leap forward for both ourselves as a company, and also, the industry as a whole, there is always some room for improvement, which is precisely what we aimed to accomplish with our 2017 collection. 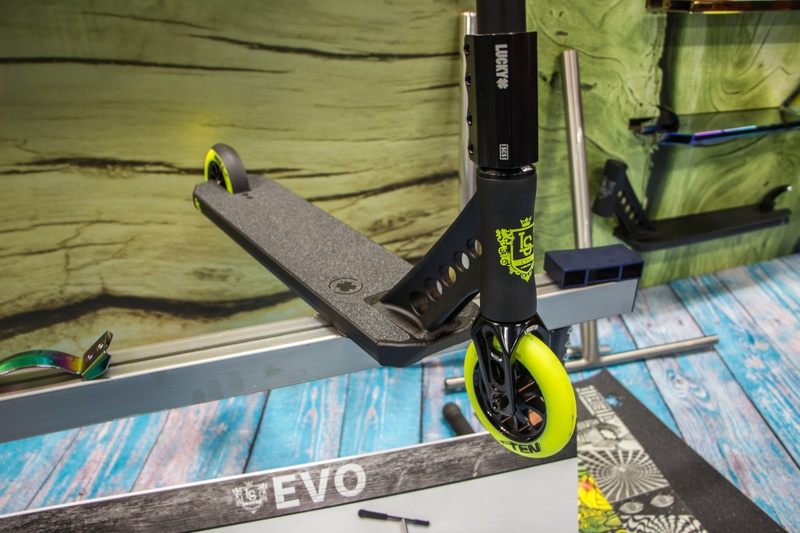 One of the most innovative products in our beautiful line of Lucky Scooters 2017 complete pro scooters and pro scooter components is the Evo complete pro scooter, which has underwent quite a little bit of revamping, in order to keep up with the times. 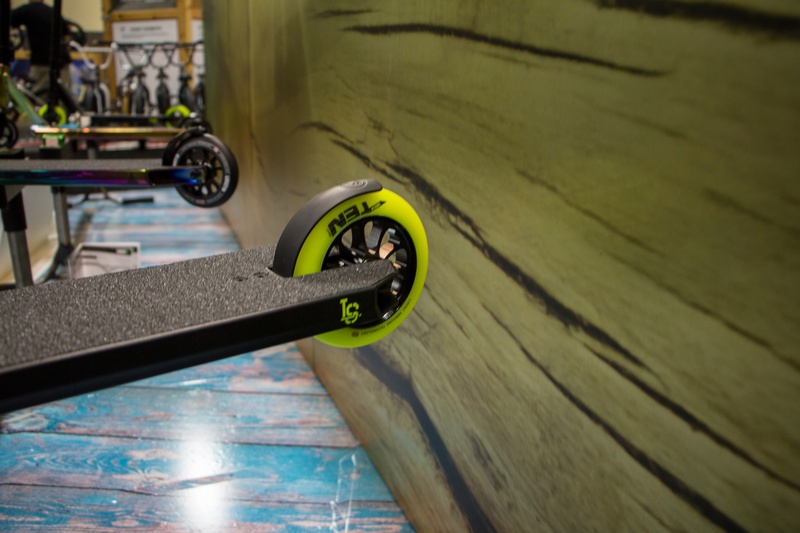 As you can tell based upon all of the phenomenal components and specifications that this complete pro scooter comes equipped with, it is clear that it is going to be a very exciting 2017 for Lucky Scooters. 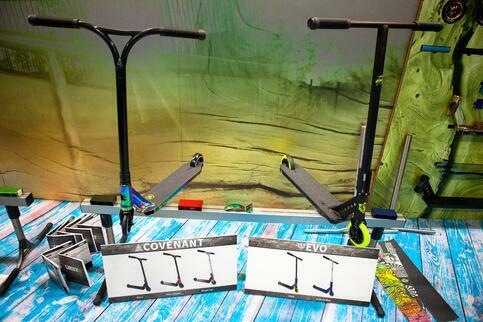 If you aren’t completely sold on the 2017 Evo complete by now, just wait until you see our awesome team of Lucky Scooters pro team riders when they are out in the field shredding it as hard as they can. However, in the mean time, you all will simply have to make do with the product photos and specifications featured in this article. 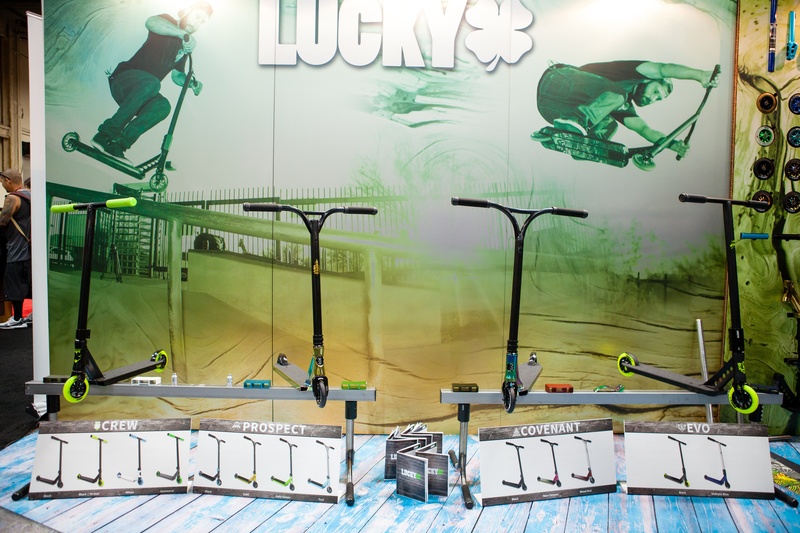 Anyways, we as a company couldn’t be more stoked to see what the future has in store for the stunning 2017 Lucky Scooters Evo complete pro scooter, so be sure to stay tuned for it’s official release, and also, be sure to keep checking in right here at the Lucky Scooters blog for more Lucky Scooters product information, as well as any and all other Lucky Scooters news, content, and updates. Shop 2017 complete pro scooters - HERE!